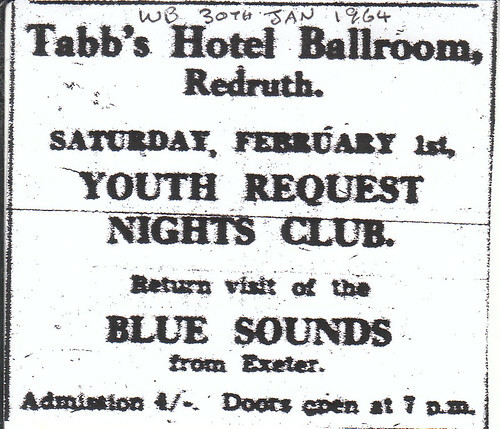 Tabbs was one of the first proper venues in the county. 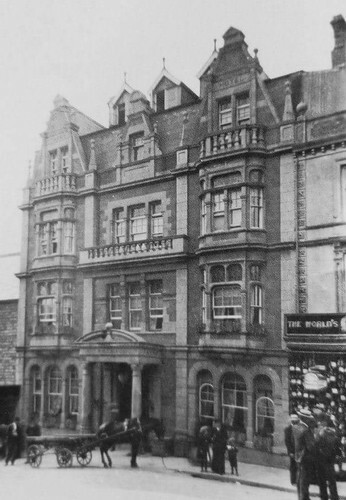 After walking through Tabbs Arcade past Eddie Carpets, Blue Lantern Restaurant, Lanyon’s Sweet Shop, Red Wells electrical shop, a butchers shop and a bookies you would walk up some stairs and enter Tabbs Hotel, with it's ballroom located above the shops. 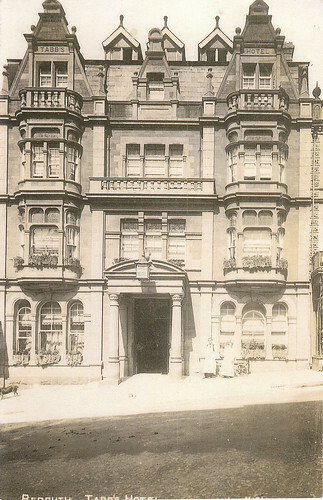 The venue was run by a Mr Vincent, an Eastender. 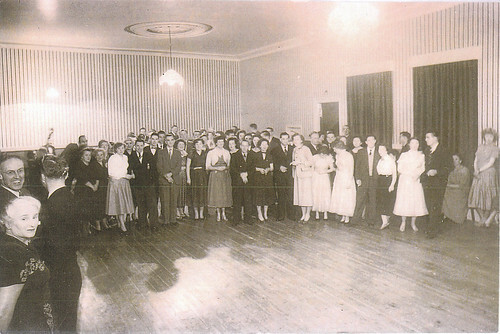 It started out in the late 50's putting on traditional 'quick/slow' dances. 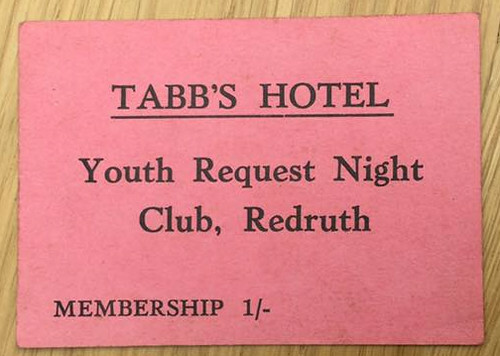 Around ‘58/59 Roger Brokenshaw suggested to owner Reg Williams that rock & Roll was the way forward and starting running a Saturday Night 'Youth Request Night' which ran from 7.30-10pm with 2'6' admission. 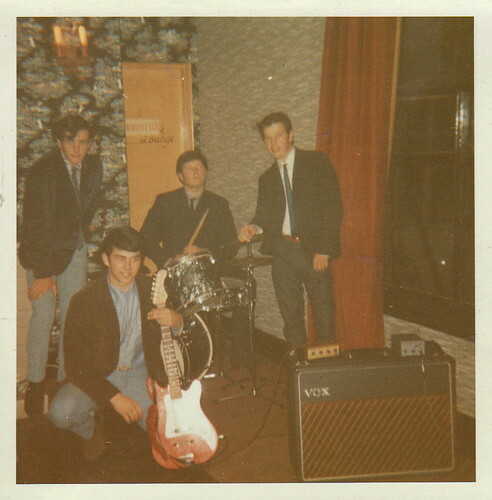 It was a non-alcohol affair for the local teens, with Roger playing rock and roll records. 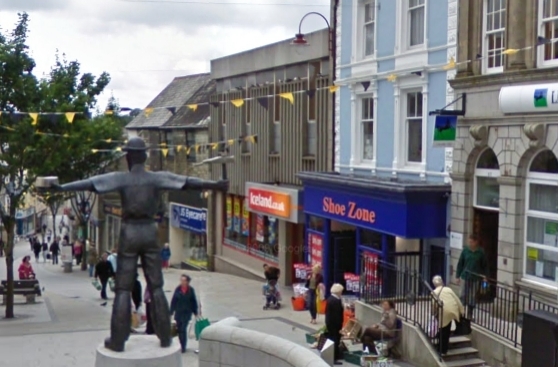 It was soon a focal point for all the local teens who previously had very few, if any, places like this to go. 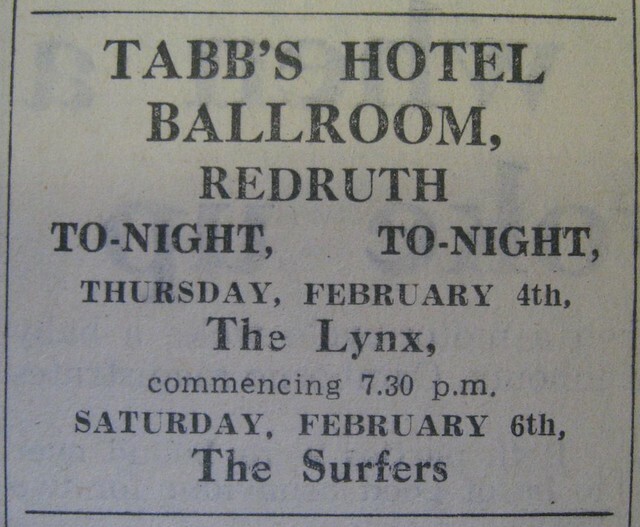 As well as teens from the Redruth and Camborne area it was soon attracting a crowd from Truro, which would often end in the odd scuffle! 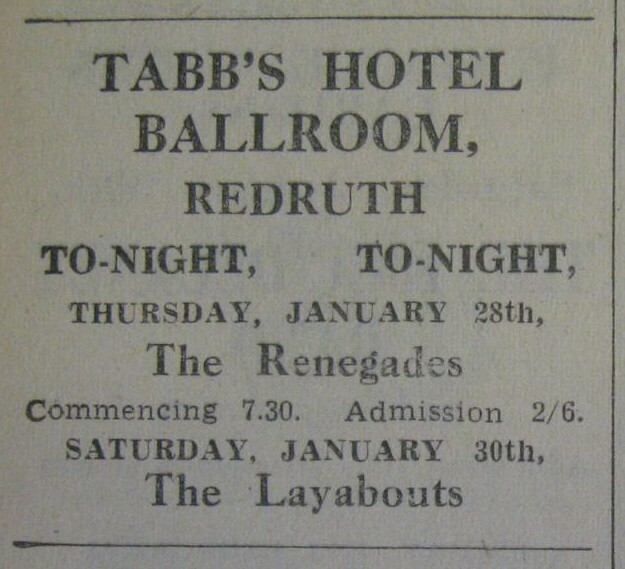 Tabbs became THE place for establishing local acts, and bands like the Staggerless could bring in crowds queuing up the street to see them. 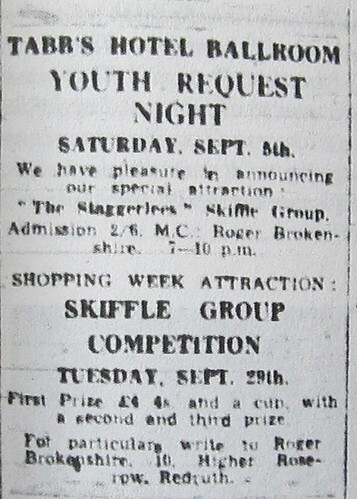 As well as putting on local bands like the Staggerlees and Manny Cockle Reg started booking bands from over the Tamer through Lionel Digby, as well as bigger names from London. 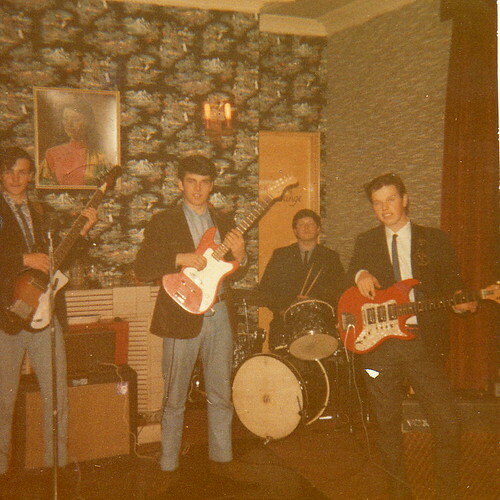 One memorable gig was Bob Xavier And The Jury, featuring a young Albert Lee on guitar. 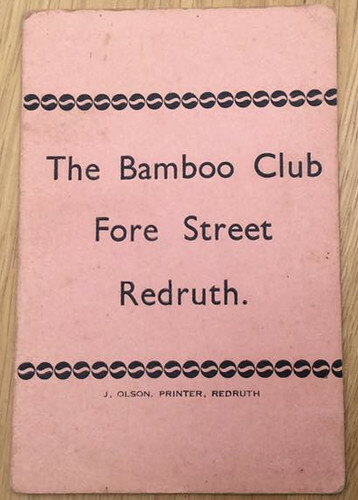 The venue would later incorporate the Bamboo Club, a members only club, and became a licensed venue. 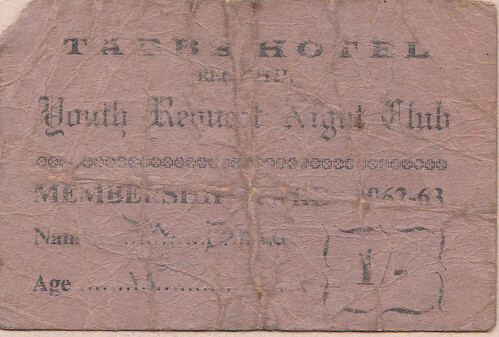 Mrs Williams was Canadian which influenced her choice of decor, chosing to deck the venue out in a log cabin style. Just as the beat boom was taking off Reg sadly passed away and his wife not long after. 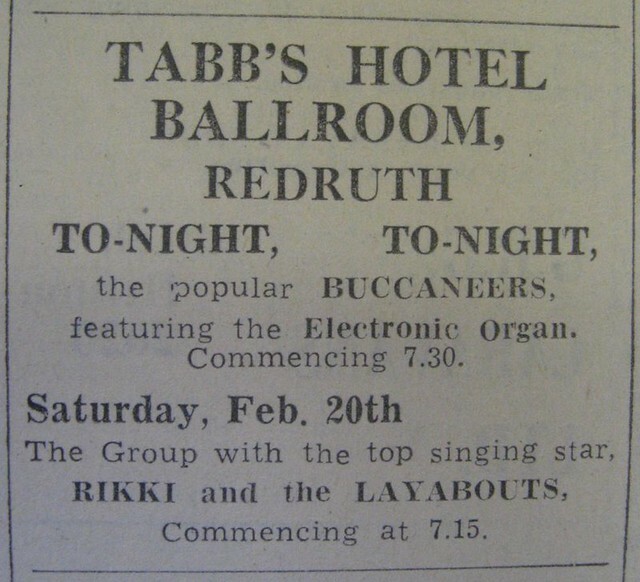 It was then decided amongst the other owners to sell up and the venue closed just as the beat boom was taking off. 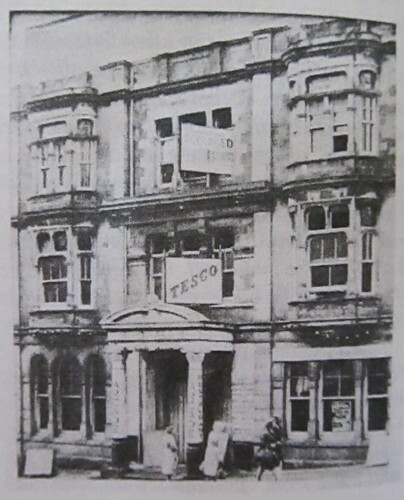 Tesco's would take over the site initially, in 1968. 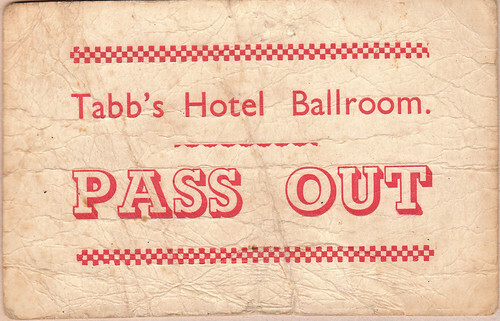 1995 played host to a Tabbs reunion, bringing together fans and bands who played at the venue. 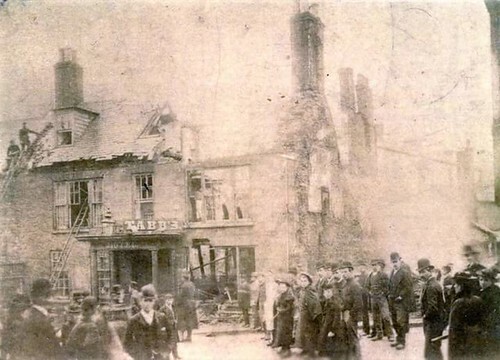 Tabbs Hotel and Arcade would later be knocked down and now Iceland sits where the hotel was once located. 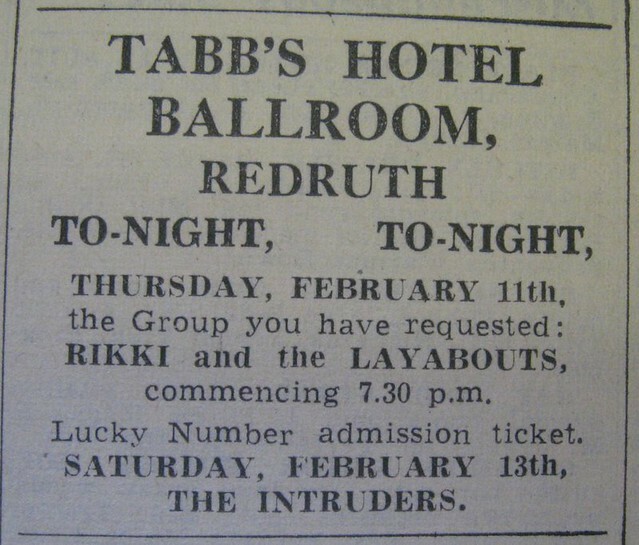 Here are a list of gigs that took place at Tabbs. Over time more will be added. These are all taken from advetisements placed in the local press, so there is a likelyhood that some didn't take place, or bands were changed. 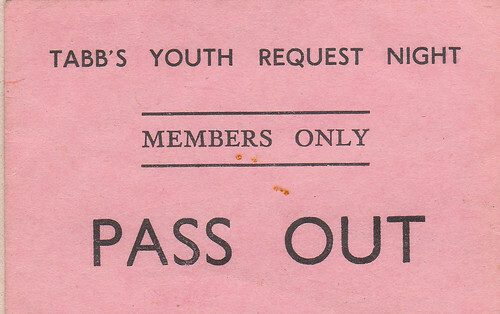 If you have any to add please get in touch. "The group you have requested"
"Direct from Succesful German tour"